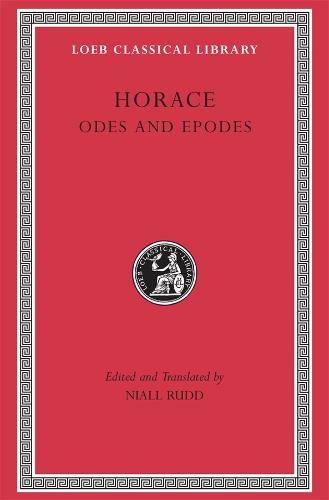 The poetry of Horace (born 65 bc) is richly varied, its focus moving between public and private concerns, urban and rural settings, Stoic and Epicurean thought. Here is a new Loeb Classical Library edition of the great Roman poet's Odes and Epodes, a fluid translation facing the Latin text. Horace took pride in being the first Roman to write a body of lyric poetry. For models he turned to Greek lyric, especially to the poetry of Alcaeus, Sappho, and Pindar; but his poems are set in a Roman context. His four books of odes cover a wide range of moods and topics. Some are public poems, upholding the traditional values of courage, loyalty, and piety; and there are hymns to the gods. But most of the odes are on private themes: chiding or advising friends; speaking about love and amorous situations, often amusingly. Horace's seventeen epodes, which he called iambi, were also an innovation for Roman literature. Like the odes they were inspired by a Greek model: the seventh-century imabic poetry of Archilochus. Love and political concerns are frequent themes; here the tone is generally that of satirical lampoons. "In his language he is triumphantly adventurous," Quintilian said of Horace; this new translation reflects his different voices.